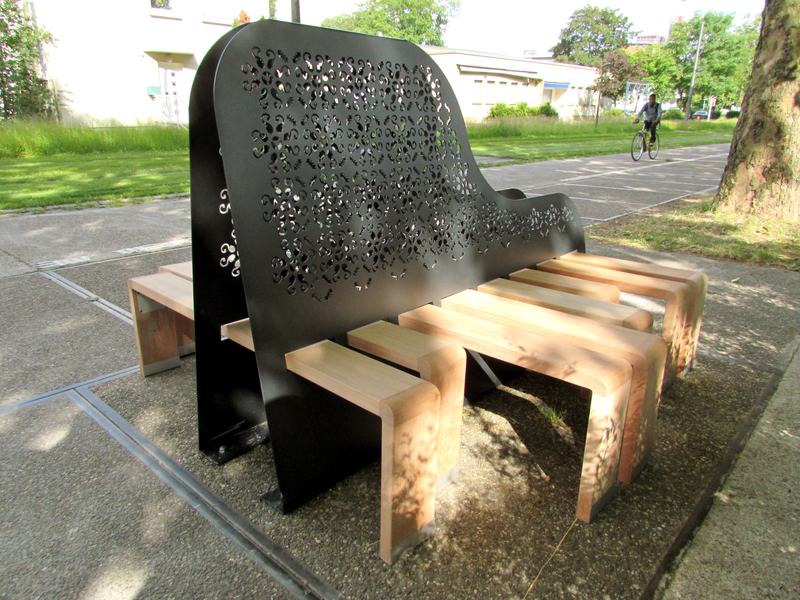 First prize won for the contest “Benches for Europe” organized by the city of Strasbourg (France) and sponsored by the French Ministry of Culture – DRAC Alsace, the Région Alsace and by the European Union. 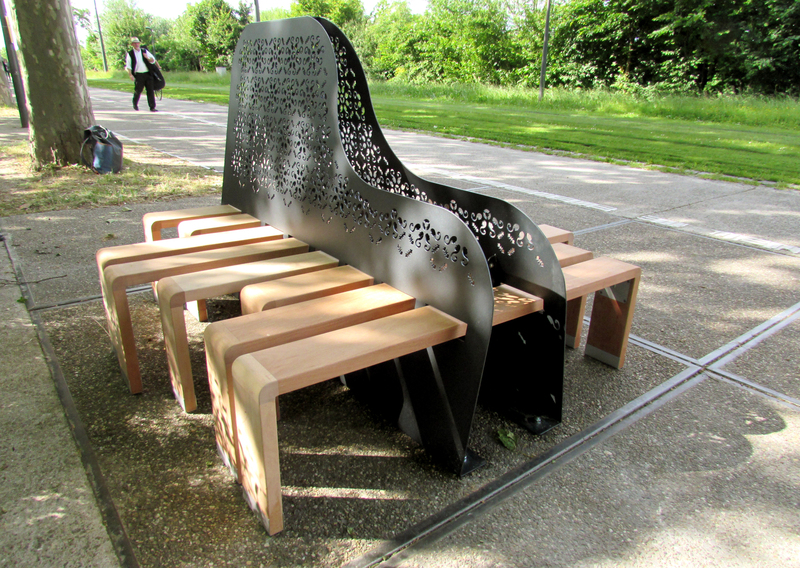 The purpose was to create and produce a unique bench for each country of the European Union. 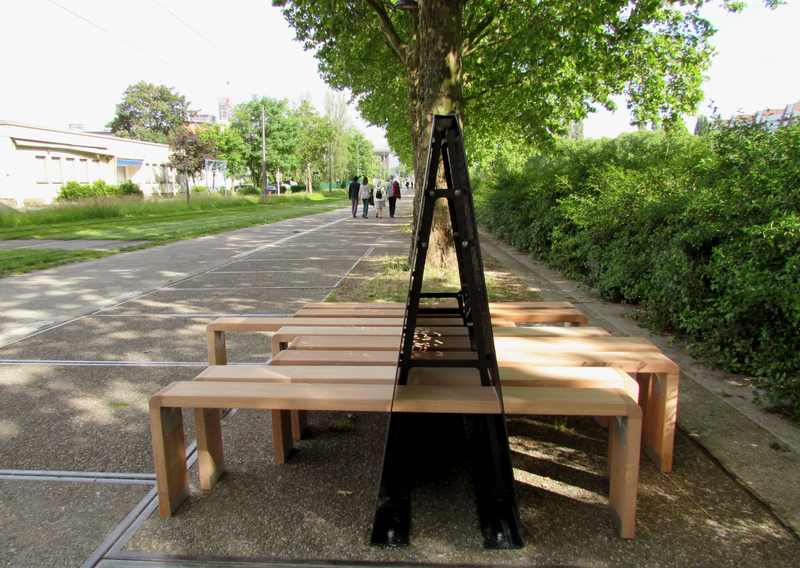 I developed a bench for Spain. 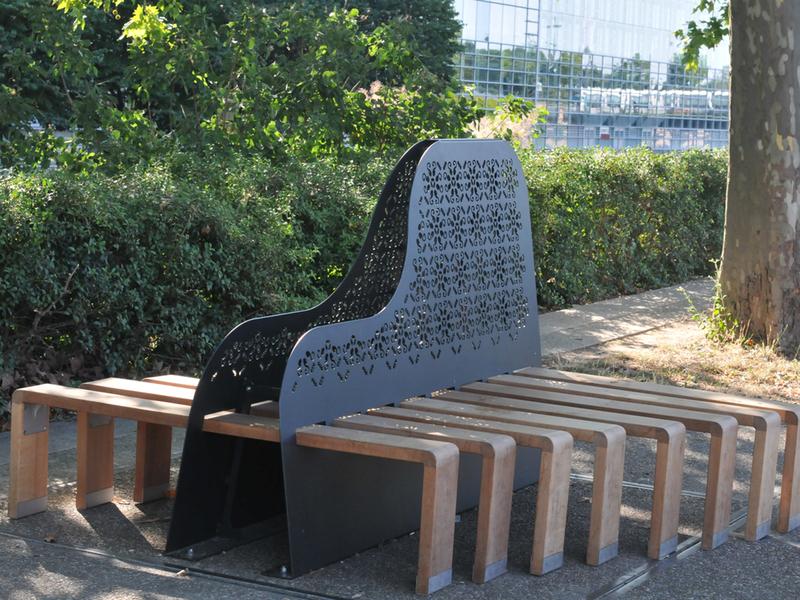 The 28 design pieces are installed outdoor close to the European Institutions, in front of the Parliament. 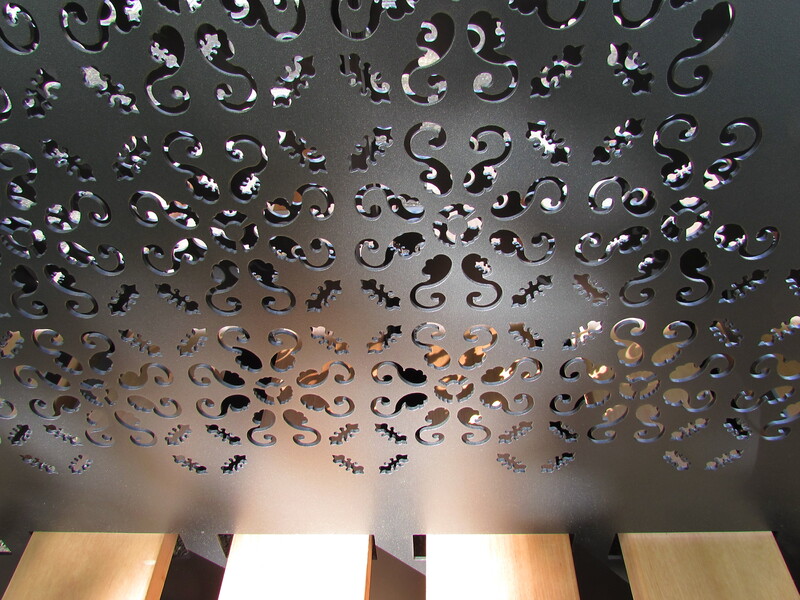 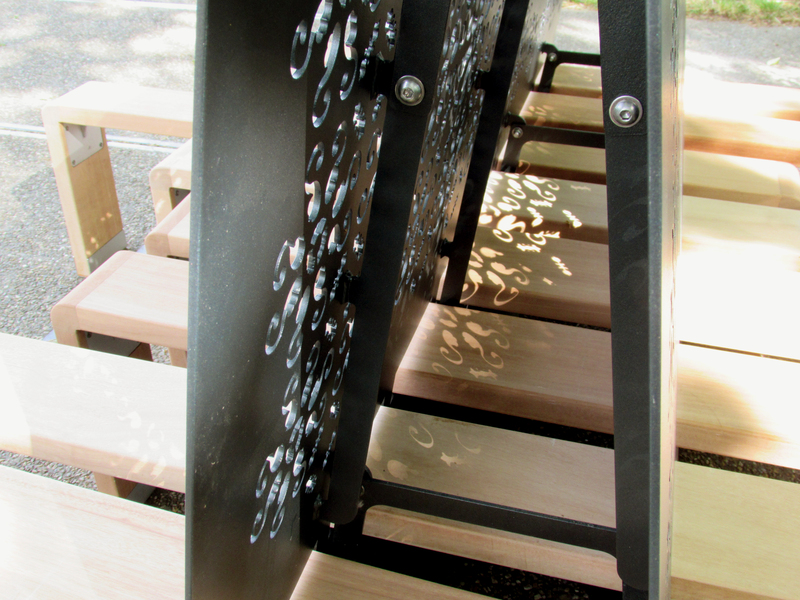 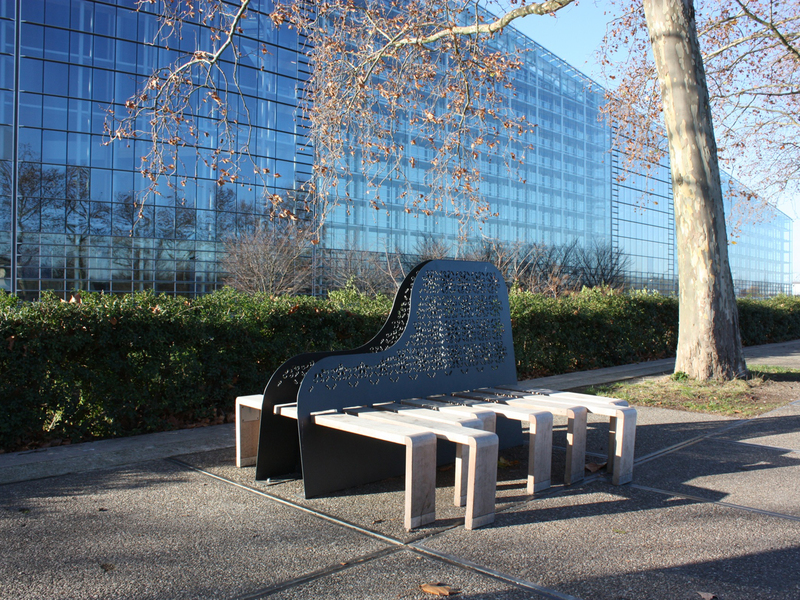 This bench has been manufactured by “Sineu Graff”, a local Company specializing in urban furniture. 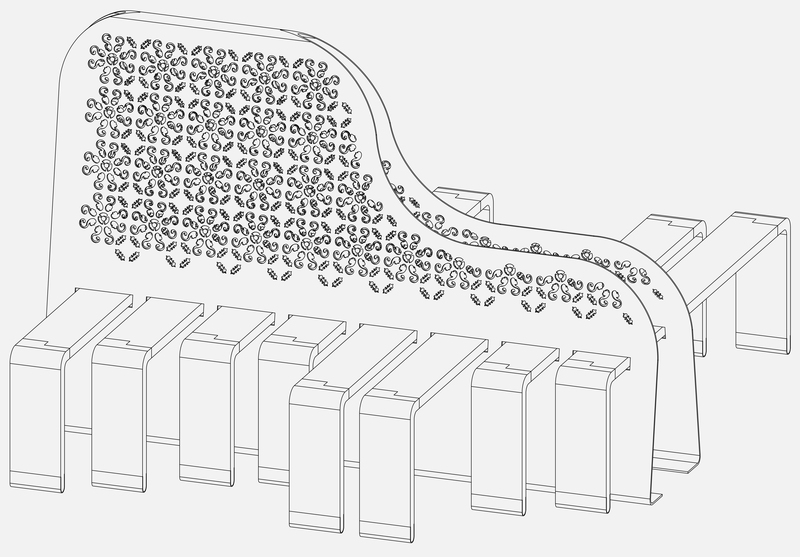 Inspired by mediterranean culture strongly rooted in Spain, and by mobility which is a deep principle of Europe, this bench offers to the user a relaxing space where he can arrange the seating according to its desire to sit alone, lying down or being in group. 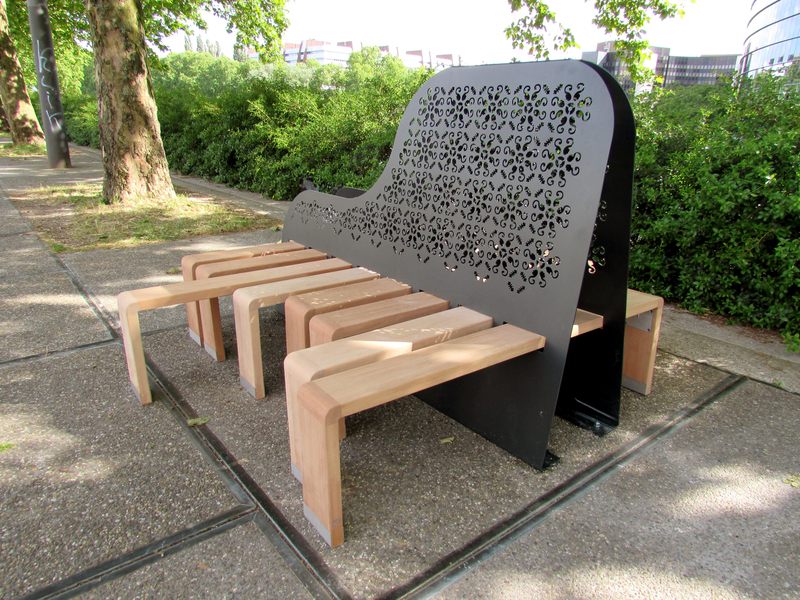 « Benches for Europe – a bench representing Spain », manufactured by Sineu Graff, Strasbourg, 2015.